For 12+ hours a day, 5 to 6 days a week, I (and KAS Placement’s recruiters) together with Attorneys at Jae Lee Law live and breathe the struggles, successes and career nuances that corporate sales professionals face in their job. For many selling into Corporate America, 2016 has been a strenuous year. Rapid, unpredictable technological changes coupled with increasing client demands and pricing pressure has made some account managers nostalgic for the past. The buying complexities of Corporate America has made sales careers less appealing to the masses. Even some of the most naturally gifted employees are questioning what was an undying passion for selling. Where many sales employees and prospective business development job seekers see hurdles, our recruiters see opportunity. The troubles that are deterring many from sales jobs will greatly thin the number of sales careerists available which will spike demand. Combine this with the fact that the millennial generation will not feed an overabundance of fresh sales people into the hiring pool and effective business development managers who were once a commodity will slowly become a treasured tenure. In the short term, demand for a type of job seeker spikes, some very favorable trends will emerge. a. Sales employees will have more leverage when negotiating compensation packages. b. The shortage of business development employees dui attorney in san jose will allow sales personnel to seamlessly move into other industries. 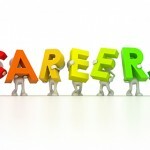 c. People in sales careers will enjoy heightened career stability. While the supply and demand numbers may become favorable to business development employee and allow them to receive more appreciation from their peers and employers, our recruiters predict that corporate selling itself will remain (if not get more) complex. Here are some points to take into consideration. – Due to saturated markets in nearly every industry, corporate buyers now have more leverage than they ever have. – Corporate culture has seemingly become a bit degenerated lately. – Employees tend to overly stressed, under informed, yet highly biased and, overall share a disdain for work. These variables make them more complex to deal with. 1. Know how to win an argument – The only way under the sun to win an argument is to avoid it. Abrasive sales people make a fraction of what they are worth. Pointing out that is a client is wrong about a particular fact will often have the opposite effect. When confronted, 9 out of 10x, an argument ends with each side more firmly convinced that he or she is absolutely right. If you argue and contradict, you may achieve a victory every now and then, you will incite ill-will from your clients. Bad blood does not pad a bank account. Rather, arguments are won by tact, diplomacy and an ability to put yourself in the buyer’s shoes. 2. Remind the clients of the end goal. 3. Try to not come across as overly opinionated. Ask questions in a warm, friendly tone. When you’re diplomatic, you are much more persuasive. Remember to always show respect for their opinions. 4. Maintain a sense of optimism while focusing on your clients’ more admirable qualities. Every business changes and it’s imperative to accurately assess the changes and possible remedies to ensure continuous competitive advantage. Article is continued here. KAS Placement is a sales and marketing recruiting firm specializing in business development and marketing staffing throughout the U.S.
Ken Sundheim is the CEO of KAS Placement and the head recruiter. 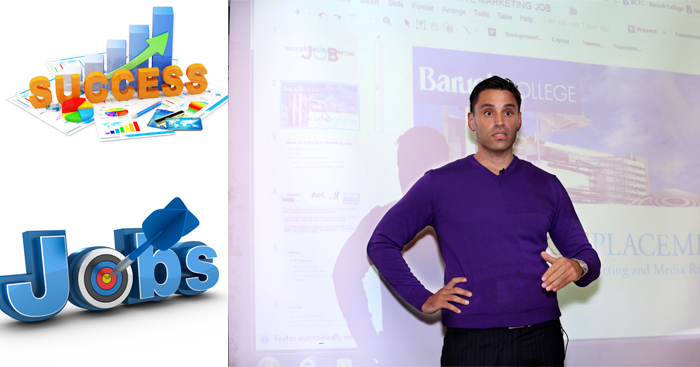 He has been published over 500x on the topics of sales, sales recruitment, marketing, marketing recruitment, entrepreneurship, general business and more. As a sales recruiter, Ken has been asked to speak at some of the most prestigious U.S. universities and has been featured in AOL, Business Insider, Forbes, Chicago Tribune, Huffington Post, Wall St. Journal and many others. As a recruiter, Ken has also appeared on MTV and Fox Business News.